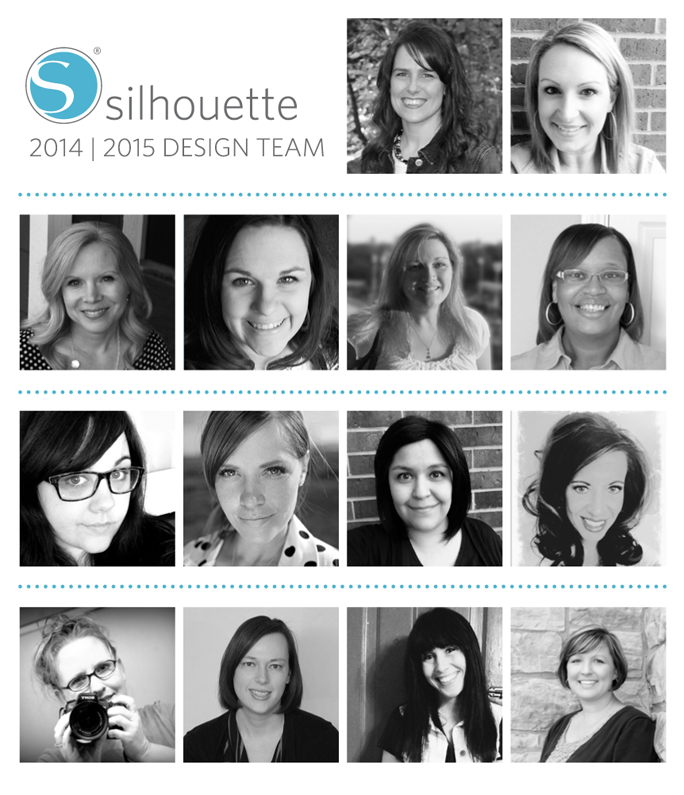 I made it onto the Silhouette 2014/2015 design team!!!!! I am so excited about this opportunity! I have been a bit Silhouette obsessed for the past several months, and now I'm putting that to good use. I LOVE crafting with the Silhouette machine. It is so amazing and you can do so many things. If you like to get crafty in any, you should check out the Silhouette. You will love it. If you already have one, you know what I'm talking about. So check out the Silhouette products and their blog for more inspirations. As a design team member I will be posting projects on their blog. So you can follow my projects here and on their blog. And if you follow their blog you also get to see projects from these amazing ladies pictured above. Super excited to get to know you more! Congrats!